With my group of friends being spontaneous isn’t in our style. In fact, it’s not even in our vocabulary. Any outing we have in mind has to be carefully thought out and planned to the T. I’m talking when we’re getting there, how long we’re staying, what we’re buying, the price and most importantly how we’re getting there and back. The last time we tried to be spontaneous it didn’t work out so well and we were left disappointed. Luckily this time was a success. Since the start of the semester, I’ve literally been begging Jhodi almost EVERY day to have lunch with me but we could never decide on a place to go. To be honest I just wanted something different from the usual patty, fruit smoothie and box lunch we buy at school. Plus we NEVER go out. It just so happens that one day we were on our way to school and we drove past the new location of an old restaurant - Chilitos - and something clicked. This was the one. 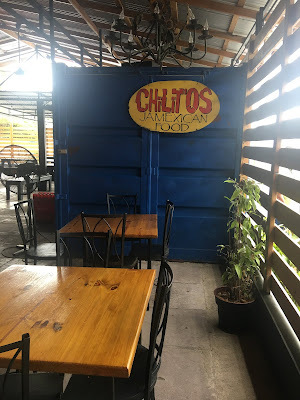 Chilitos is a Mexican restaurant located on Hope Road in Kingston (Jamaica). They specialize in Mexican foods and snacks that are ideal for a lunch date or a small get together with friends. 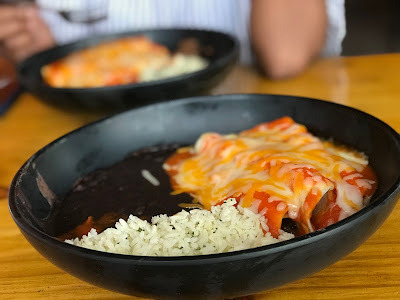 The unique thing about Chilitos is that they don’t just cook Mexican food, they add a Jamaican twist as well; hence the term JaMexican. One reason why I love my Jamaican culture is because it can be added to almost anything: especially food. I mean tacos, burritos and enchiladas are clearly Mexican foods but the spices, seasonings and cooking methods Chilitos uses will have a metaphorical bell going off in your head like “ding ding ding! This is Jamaican!”. The final price you pay is dependent solely on your choice of filling so as expected chicken is the cheapest option. They even have a bar in the middle of the building with a colorful Día de los Muertos (Day of the Dead) mural in the background. I don’t fancy alcohol so I didn’t plan on getting any. Especially not at 12 noon. So our day started with an 8 o’clock class that lasted two hours followed by a one hour meeting. To put it simply our day was boring, uneventful and as interesting as watching paint dry. To be honest I couldn’t focus on anything that was said because I was stuck trying not to get too excited for our lunch date. A drive (from my school to the restaurant) that should have been 5 minutes turned into 30 because of unexpected traffic and a detour. After multiple twists and turns we finally got to the location but at this point we were annoyed and starving - I would’ve ate a slice of dry bread right then and there of it was offered to me. My excitement kicked back in after I saw their first mural and my hunger literally vanished. It was gone long enough for us to be seated, place our orders and proceed to take a million pictures at almost all four corners of the building. We finally settled down when or meals arrived and dug in. I decided to to get an enchilada with ground beef, Jhodi got the same but with shredded pork and Shamu played it safe and got some pork tacos. 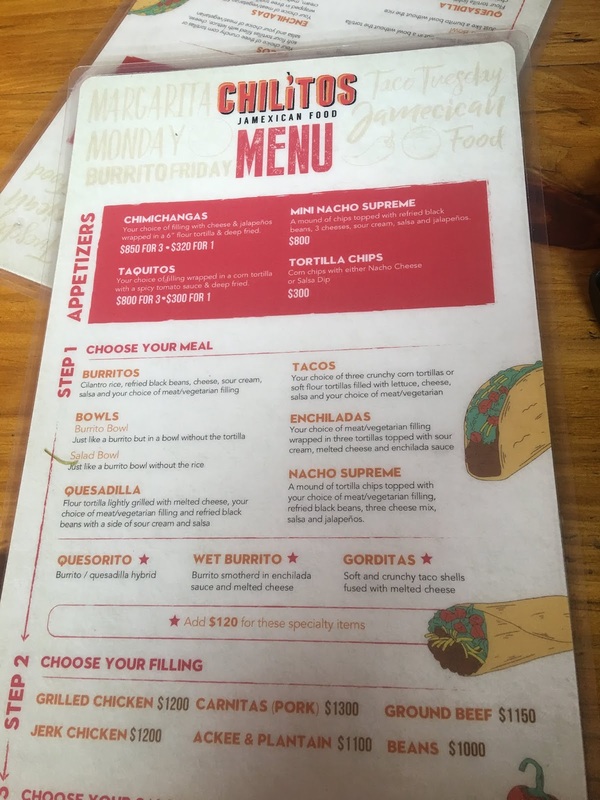 I really loved the way they served the food because it’s like they kept the Mexican theme. I was literally expecting my enchilada to be in a piece of foil paper wrapped like a burrito but it was served in a pitch black bowl that was piping hot. I kind of burnt myself when I tried pulling it towards me but I wasted no time digging in. I made sure I got an Insta worthy pic then I mixed everything together like the big child I am. Overall the food was good, the vibe was good and my pictures turned out amazing so if you guys have a Food Bucket List I recommend adding Chilitos to it. If not, make one and put Chilitos at the very top because the experience is worth the visit. Have you guys ever been to Chilitos? Do you plan to? 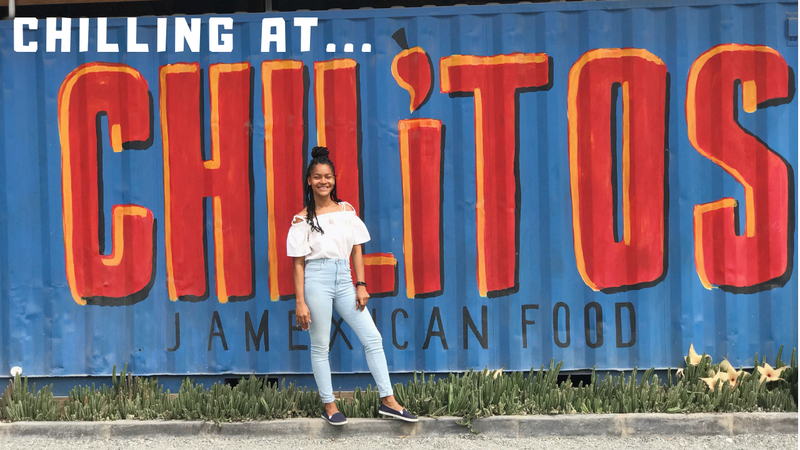 Have you ever tried Mexican, Jamaican or JaMexican food? Leave your responses in the comments below. Thanks for reading! If you enjoyed this post be sure to click the share button. 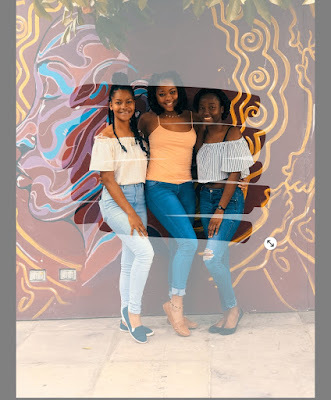 Click here to check out my previous post.